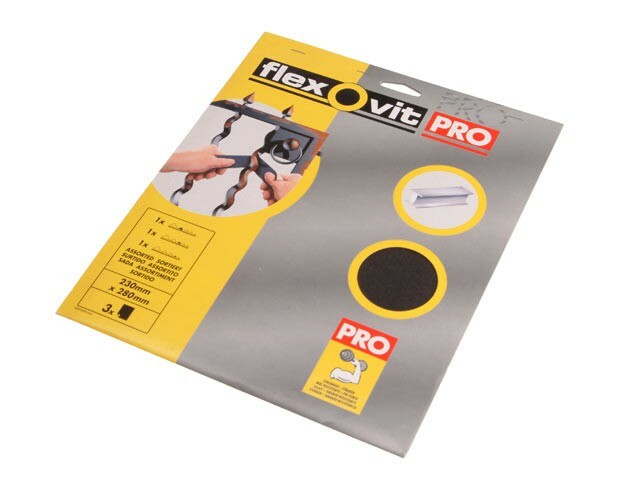 Flexovit emery cloth sanding sheets have an incredibly strong cloth backing for increased product strength and durability. Can be torn into strips for detailed work and is suitable for hand or power tool use. Ideal for removing rust, paint and scale from metal surfaces. The fine grits are also ideal for preparing and polishing metal.